Oval fenders are ribbed and shaped to resist rolling, for less swing and wear on hull sides. The sea..
Double-braided line is soft and easy to handle, cleat and coil. Stronger than comparable 3-strand do.. 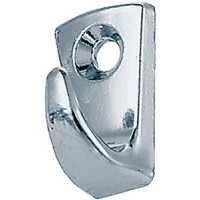 Clips fenders to rails, lifelines, side wing windows or cleats. 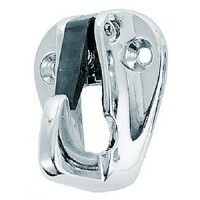 Railing lock firmly grasps rails fro..
6 x 24" Mini Fender: 24" long works great on low rails or pontoons that the fencing is all the way t..
Tough and durable PVC mounting strap snaps over railings, lifelines or stanchions. 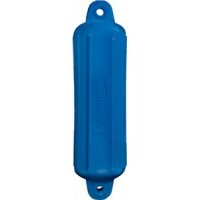 Allows fender lin..
Dolphin Fender Covers feature a stretch polyester fabric which is antimicrobial and will not fade, m..
Strong and will float along the surface of the water. 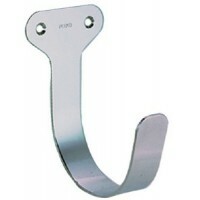 May be used for twin eye or center hole fender..
Ratcheted strap allows quick, easy attaching. Simply squeeze tabs to release fender for storage. 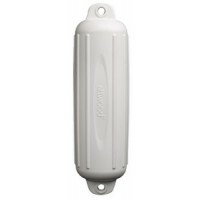 One..
Low gunwale boat fender pvc wh Color: White..
Raises or lowers boat fenders with ease. Automatically locks in place at desired height. Vinyl strap.. 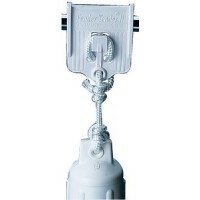 Holds type IV throw ring buoys. 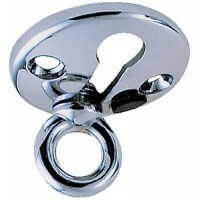 Universal size, fits all rings up to 30" diameter. Hardware fits 7/8..
Chrome plated zinc. Eye is to be permanently attached to fender line. ID eye is 3/8". OD flange is 1..
Chrome plated zinc. 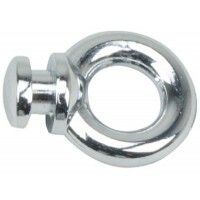 Card: 2Base: 1-9/16" x 1-3/8"Fits: 1/4" LineFastener: #6..
Chrome plated zinc. Card: 5Size: 15/16" L x 1/2" WFastener: #6.. Even wall thickness for maximum strengthMolded in ribs for strength and abrasion resistanceReinforce..